No Potatoes! Go to a supermarket and choose your weapon! The cards and parts correspond to each other, there are 9 different parts and four cards and pieces of each. A better explanation of each part will be given later. Shuffle the cards and reveal eight face up. 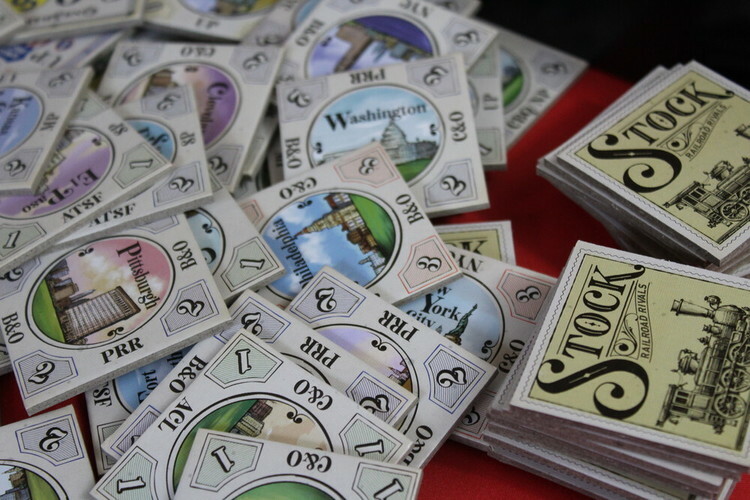 Beginning with the start player, take turns choosing one card. Do this twice until all cards have been picked. Reveal another eight cards and choose again, do this a total of four times, so each player has eight cards. 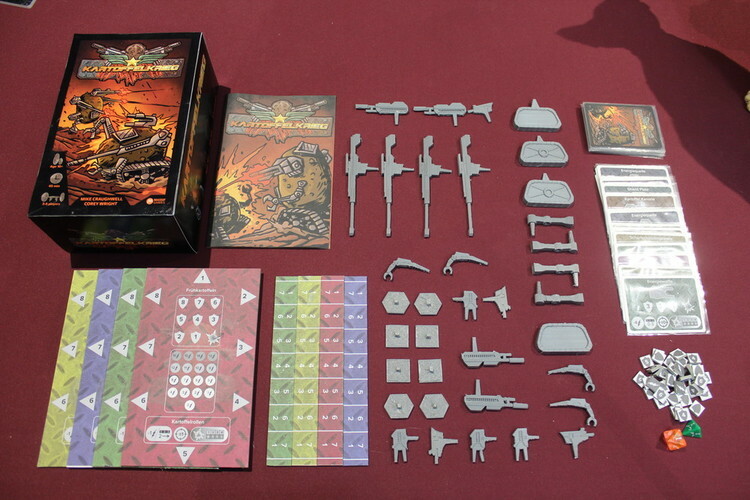 Then each player chooses the placement of their equipment into the eight available slots shown on their player board. Place all the shield markers face down on the table, then take and place a random shield token face down on the highest shield spot of each card. Then place another one face down on the highest position of your control board. Place a power token at the 8 position om your power track (higher if you have parts that grant you extra power) Next comes the fun part! Build your weapon of mash destruction! Grab the matching part for each card you have and insert it into your potato (other vegetables are available!) You can do this anyway you like, however stability is a good thing! Then take turns placing your potato. They must be a minimum of 18 inches apart. You are now ready for battle! Shield Plates: Use these to absorb damage to weapons up to two spaces away. Energiequelle: This is a mini reactor that can give you two extra points of energy a turn. 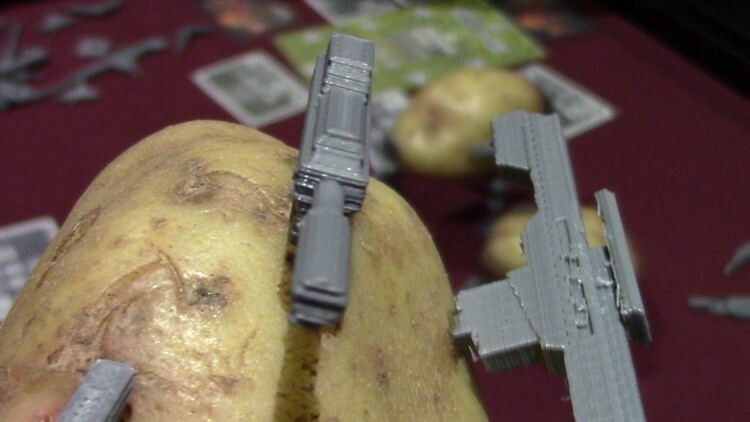 However, if it gets destroyed it can blow up and damage your potato. Treads: Great for movement, but can also be used to ram opponents. Legs: Great for running towards or away from an enemy! You can also stomp on other potatoes! Arms: Mostly for damaging or removing parts. However, they can also perform ‘surgery’ to remove parts and place them on your potato. Scharfschutzengewehr: Effectively, a sniper rifle. Pick off your opponents from afar. Kartoffel Kanone: A Medium range weapon that does great damage. Kartoffel Knarre: If you are prepared to get up close and personal, this can do great damage. In turn order, players use their energy to move and/or attack another player. Their turn ends either when they declare they have finished or when they run out of power. Players may use any combination of actions, including using the same item multiple times. To attack, the player must first declare who they are attacking and what weapon they are using. 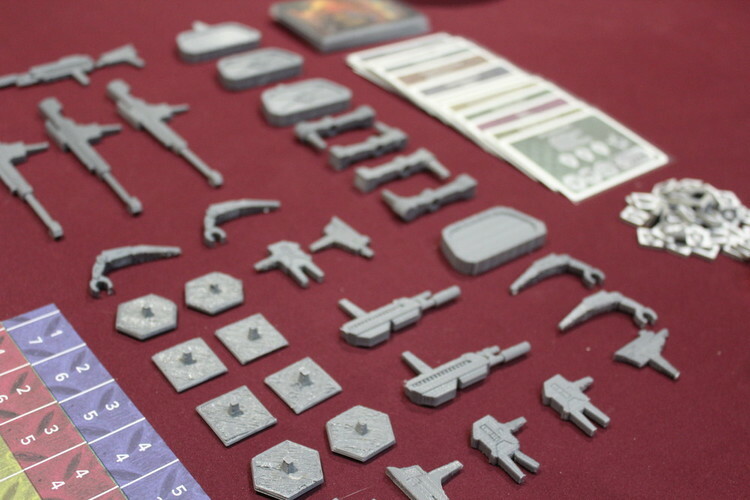 Roll the D8 to determine which item you are attacking (as determined by the position on the opponents player board) Then roll the D4 and use the chart on your weapons card to determine how much damage you are dealing. When you deal damage, the defending player must move the shield token on that card down. 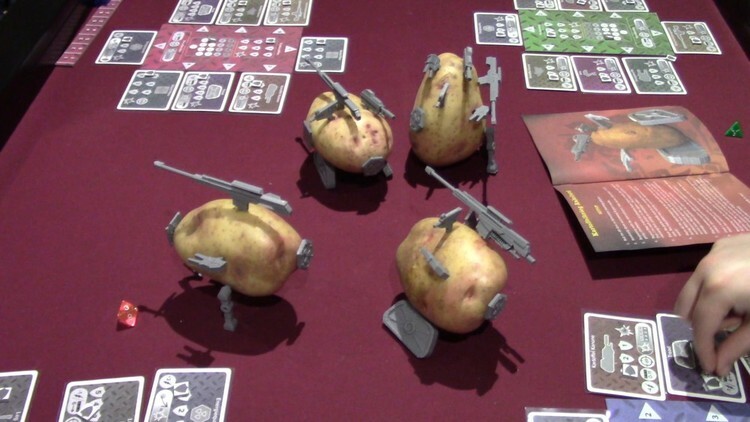 If a player destroys a part, the attacker receives the shield token that was on the card and the part is removed from the defending potato. Any residual damage is transferred to the defenders control board. 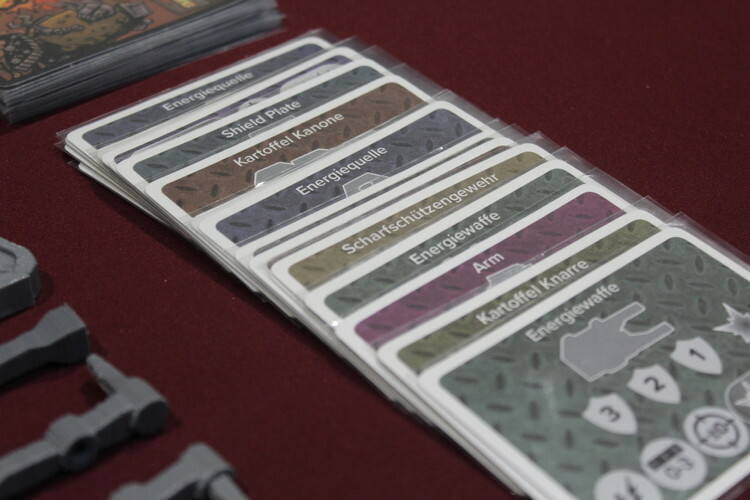 Shield tokens are kept as hidden information until the end of the game. If a player attacks an open slot with no part, the defender receives damage directly on their player board. If the damage is at zero, the attacking player receives the shield token and the game immediately ends. The winner is the player with the most shield token points, the loser gets to make a lovely ‘Mashed Kartoffel’ for which there is a great recipe in the rulebook!